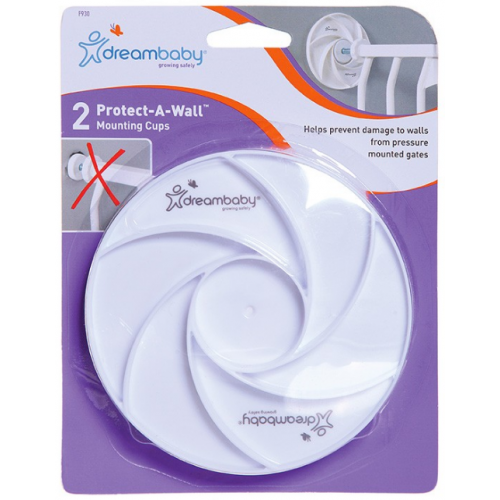 Dreambaby® Protect-A-Wall™ Prevents Damage to Walls from Pressure Mounted Gates – Easy to Install. 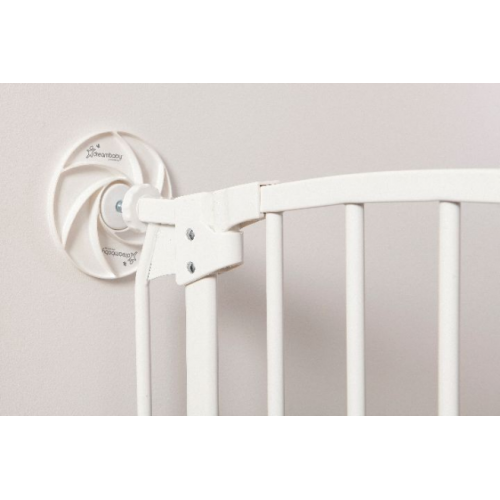 Preotect your wall – Pressure mounted gates work well to make homes baby-safe and save you the hassle of messy installation, but they can still pose potential damage to your wall. Dreambaby® Protect-A-Wall™ alleviates that problem. Large mounting cups – Our Protect-A-Wall™ are large mounting cups that disperse pressure from the top supports over a large area, reducing direct force and minimizing the possibility of cracks or collapses. Soft non slip foam backing – In addition to providing a larger, more secure contact zone, these mounting cups feature a soft non-slip, non-adhesive backing that prevents damage while remaining gentle on your wall. Quick and easy to fit – Substituting the Dreambaby® Protect-A-Wall™ for the mounting cups that come with your gate literally takes seconds and are compatible with most pressure mounted gates. 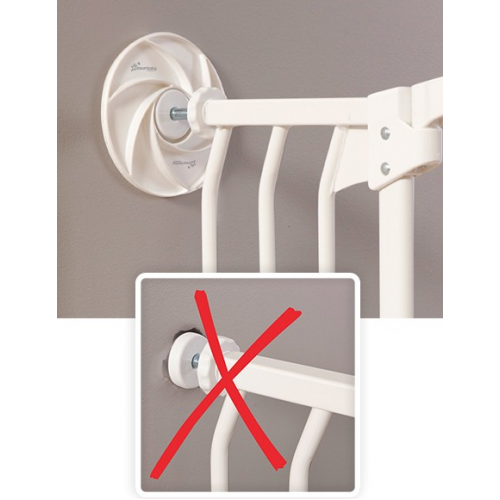 Installation tips – Here at Dreambaby®, growing safely is our priority. It is important to install your gate to the manufacturer’s instructions. All you need to do is substitute the upper regular mounting cups with our load spreading Protect-A-Wall™ to ensure your gate will work effectively as intended.